The history of woodworking spans cultures and millennia, and each year more and more people take up this exciting and challenging craft. 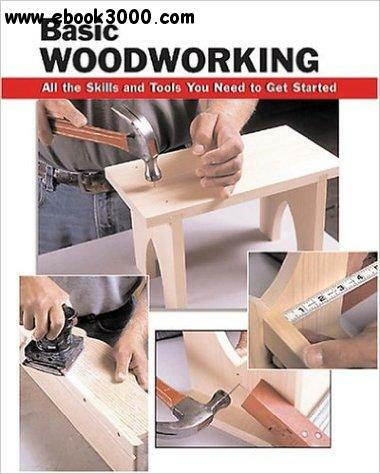 Illustrated with hundreds of full-color photographs, Basic Woodworking helps beginners learn the fundamentals of working with wood and avoid frustration and injury in the process. Following a complete introduction to both hand tools and woodworking machines, the book guides readers step-by-step, from start to finish, through several simple projects�Cincluding a cutting board, peg shelf, and step stool�Cand, along the way, builds a foundation of knowledge by teaching the essential skills that will serve them in future woodworking endeavors.